An ArtSet is a collection of up to 60 brushes. 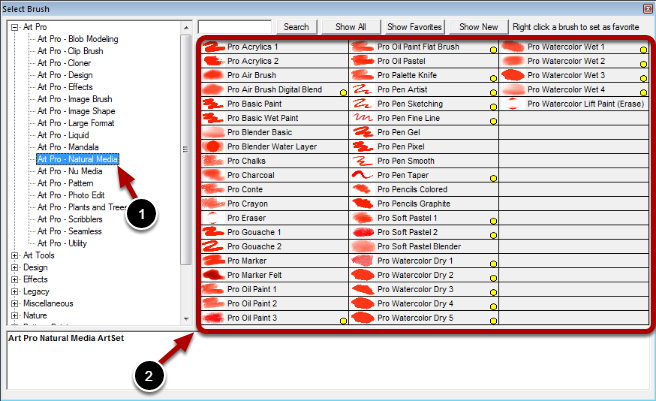 Each ArtSet in TwistedBrush Pro Studio holds up to 60 brushes. See the topic on the Select Brush Dialog for more details about selecting brushing from an ArtSet.